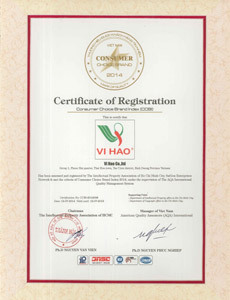 Established in 2008, Vi Hao has grown to become a trusted spice processing brand in Vietnam and international markets, including the US and Australia. We are proud to have created a strong and recognizable identity along with a very close relationship with our valued customers. 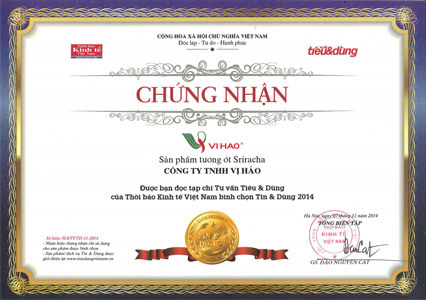 Our vision is to become the leading brand of clean, hygienic spice production in Vietnam and offer our authentic Vietnamese spices to the world. To continue building a trusted brand by providing healthy, tasty food to people while promoting pride in Vietnam’s incredible cuisine. 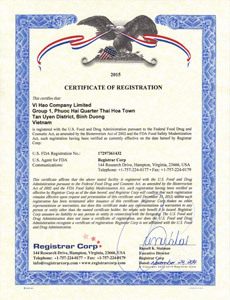 This Certificate verifies that the described facility has been registered properly with the U.S. Food and Drug Administration. The Certificate issued by Registrar Corp confirms for commercial purposes that our facility has been registered properly as required by the Federal Food Drug and Cosmetic Act, as amended by the Bioterrorism Act of 2002 and the FDA Food Safety Modernization Act. Registrar Corp assists businesses with U.S. FDA compliance. Certificates of Registration issued by Registrar Corp provide confirmation to industry that we are fulfilling U.S. FDA registration requirements. 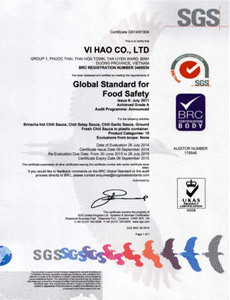 SGS is approved by the British Retail Consortium (BRC) to offer certification on the BRC Global Standard for Food Safety. Achieving compliance with BRC certification demonstrates our level of competence in HACCP, hygiene, food safety and quality systems. 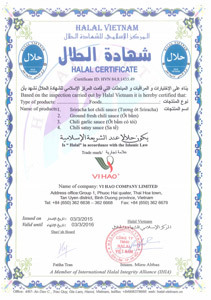 We have been granted the internationally recognized British Retail Consortium (BRC) Global Standard for Food Safety Certification.